The Suryavana Retreat Center is an initiative of the Valencia Buddhist Centre. 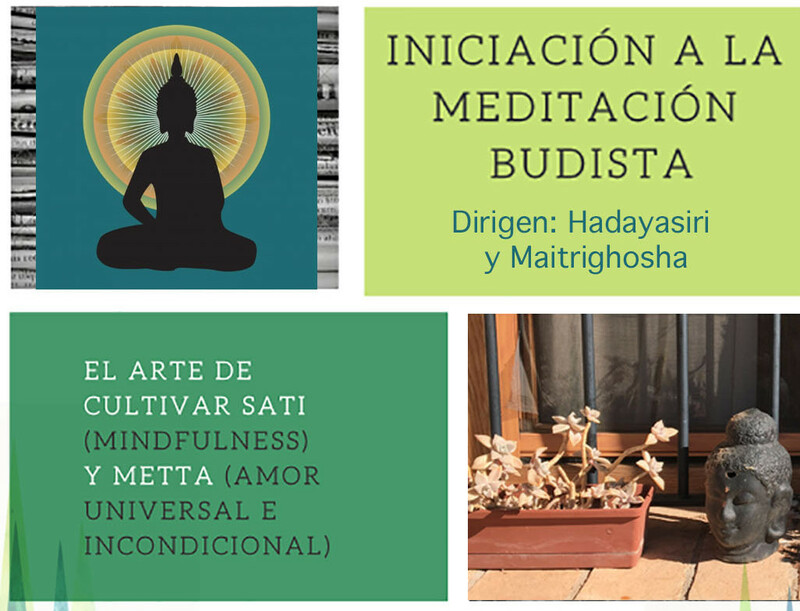 We mainly organize activities for the Triratna Buddhist Community, activities are also organized by other groups. The Triratna Buddhist Order and Community is a worldwide movement of people endeavouring to commit themselves to the teachings of the Buddha, living in the conditions of the modern world. It is not a monastic or lay movement, we are simply Buddhists, in different stages of commitment and understanding, adopting as best we can the ethical standards of the Dharma (the Buddha’s teaching) to our lives. Triratna is a Sanskrit term meaning “Three Jewels”: the Buddha, the Dharma (its teachings) and Sangha (the community of all who follow the teachings). The founder of the Triratna Buddhist Community and Order, Sangharákshita, considers that the defining act of a Buddhist is to “Go to the Refuge to these Three Jewels”. This is the principle or central orientation of the Triratna Buddhist community and everything we do. In our Buddhist retreats we can teach and practice meditation, we study the teaching of the Buddha, we relate to the Arts, we support each other through life, developing Kalyana Mitrata or Spiritual Friendship.